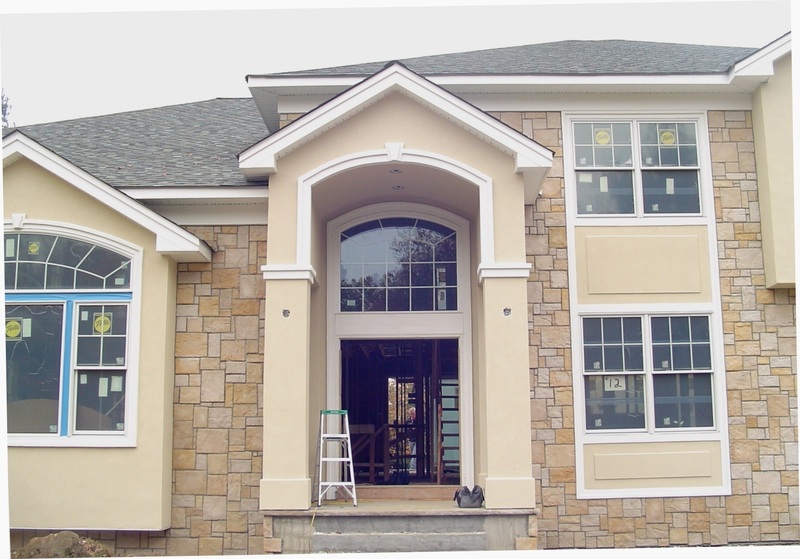 Stucco and stone front with custom window trim, raised panel detail, stucco columns. 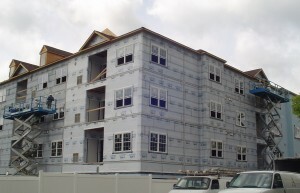 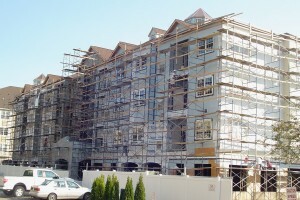 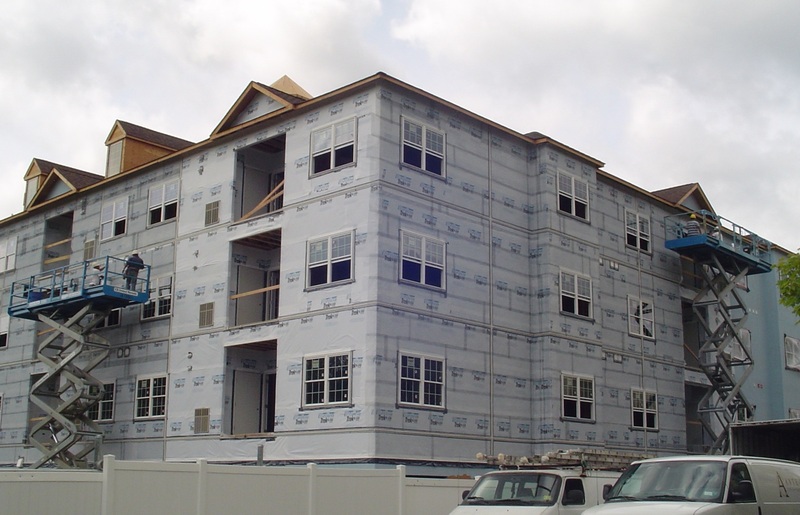 Comments Off on Stucco and stone front with custom window trim, raised panel detail, stucco columns. 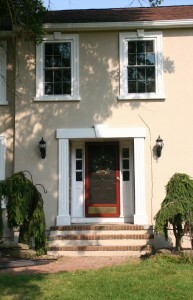 Custom column entrance with arched trim. 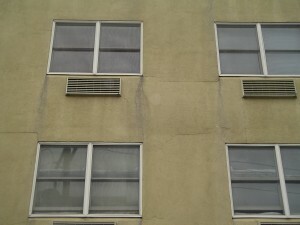 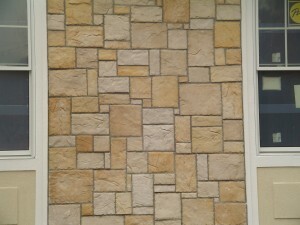 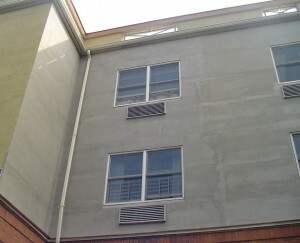 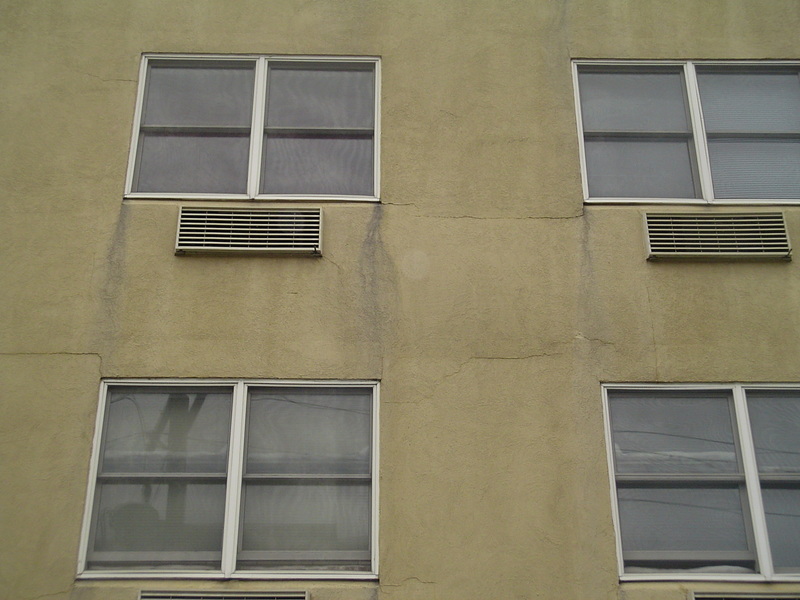 Raised stucco panel detail at windows. 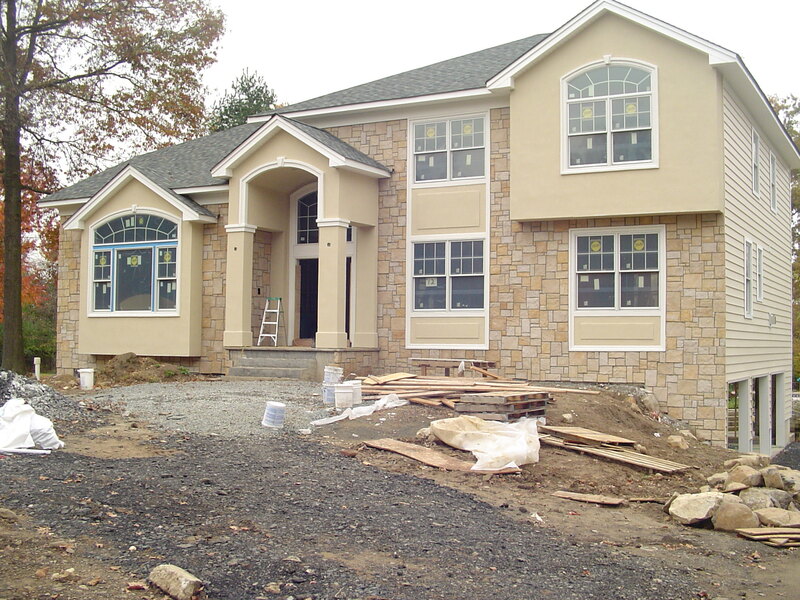 Another beautiful stucco and stone home from American Brickface & Stucco Exteriors. 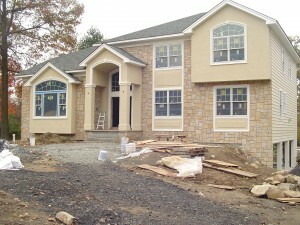 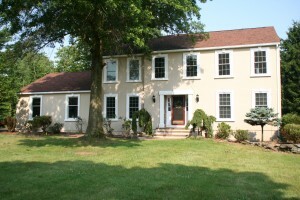 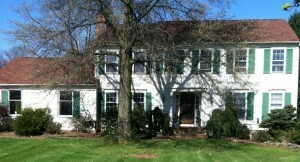 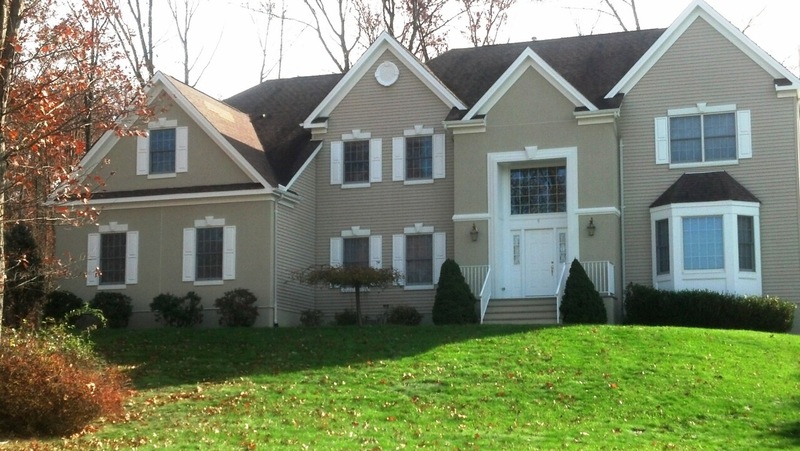 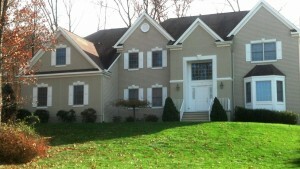 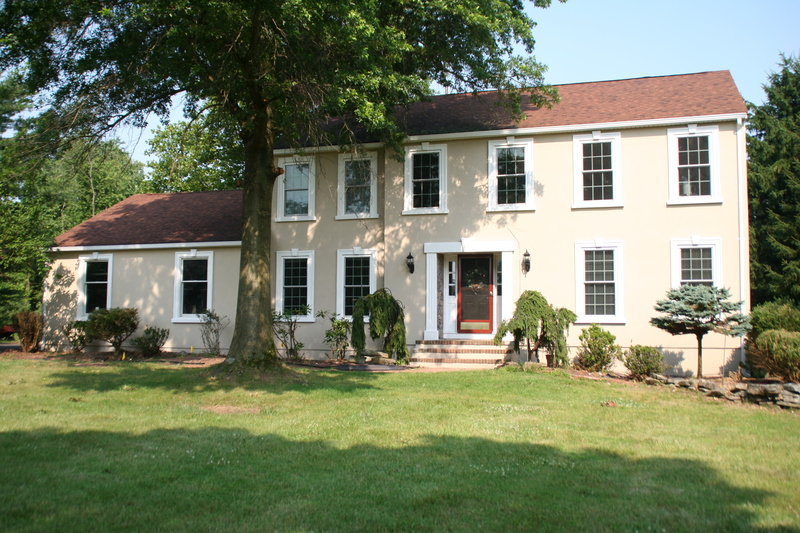 Recently completed home in Hunterdon County. 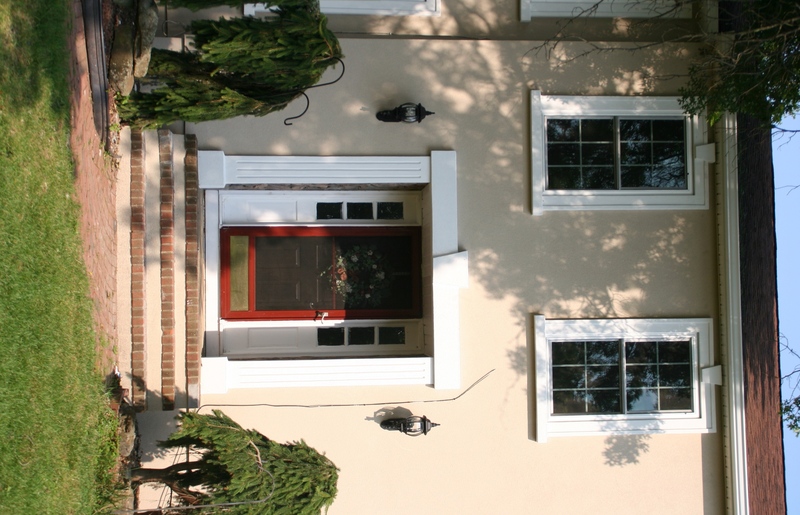 We removed the existing siding and replaced with a hardcoat acrylic stucco finish to the front of the home with beautiful banding and keystone finish to the windows and column detail to the front door. 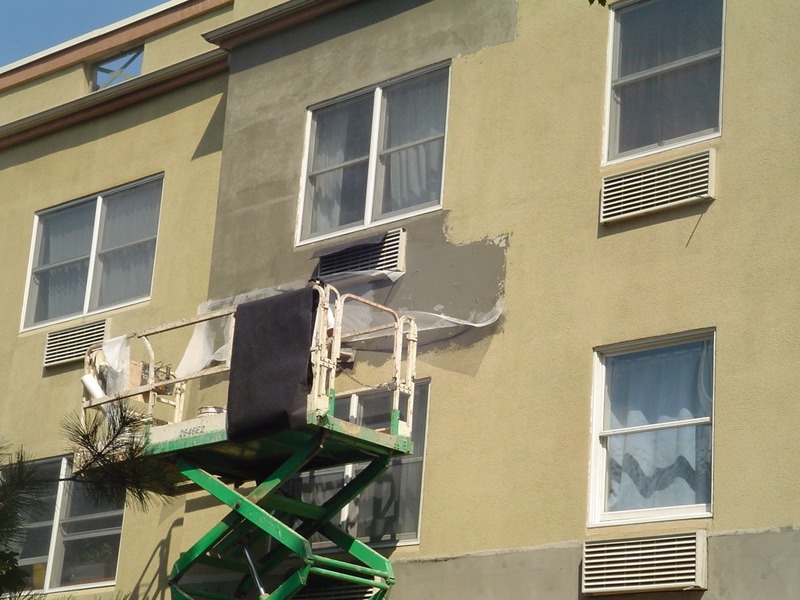 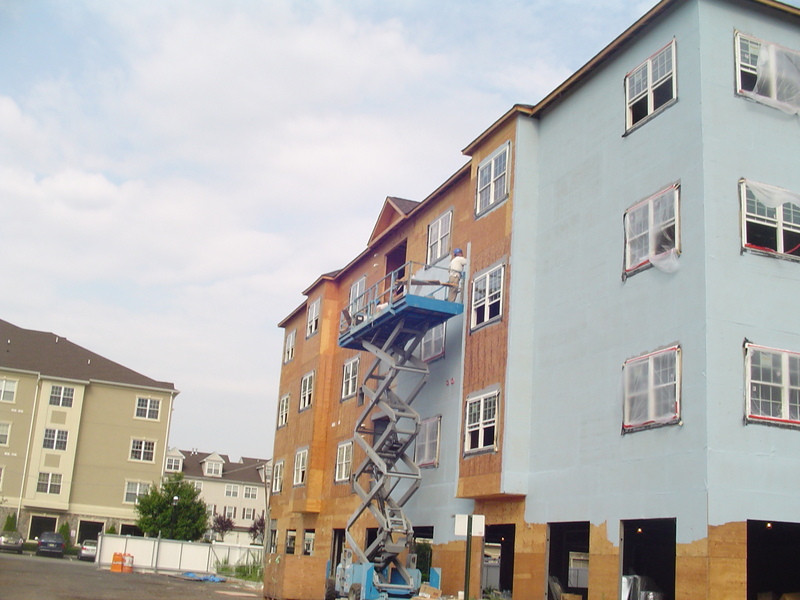 The siding on the rest of the home was replaced with a complementary color to match the new stucco. 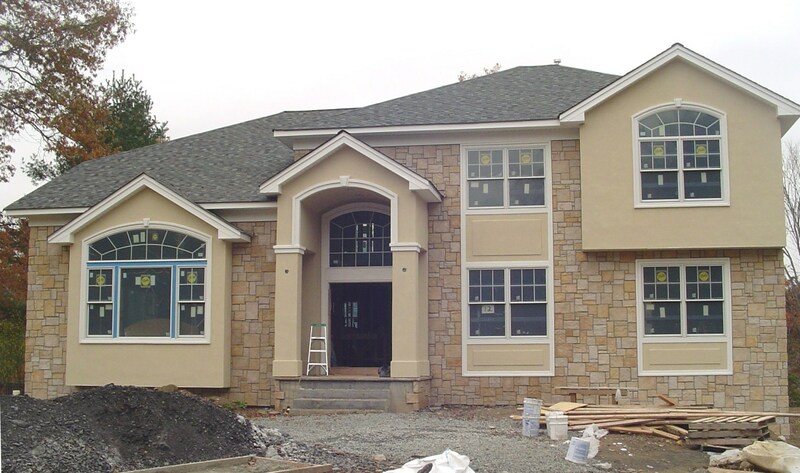 The stucco gives a majestic look this beautiful home. 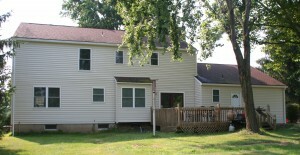 This is the "before" picture. 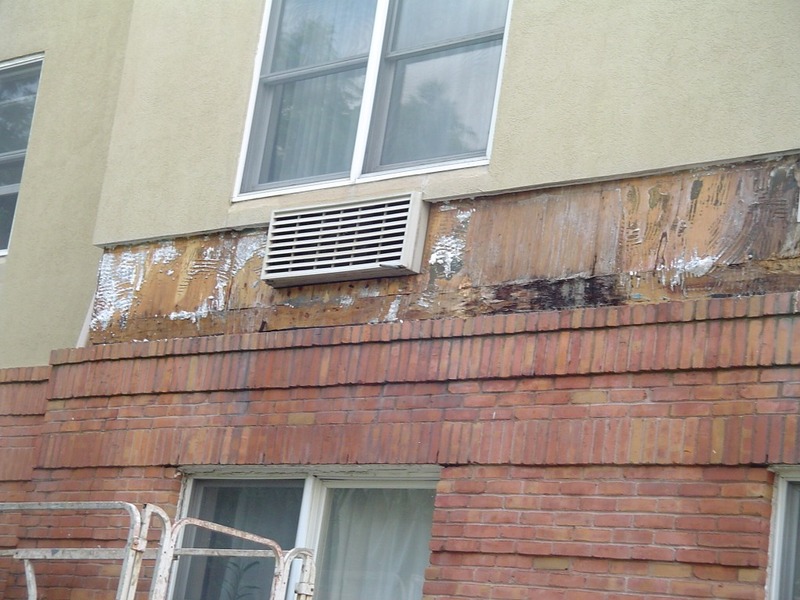 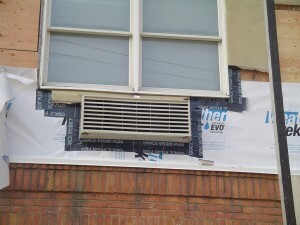 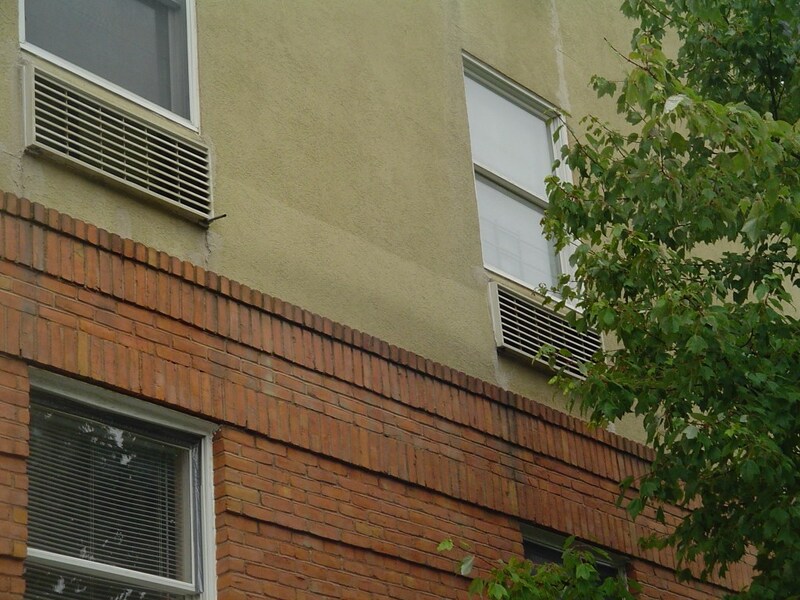 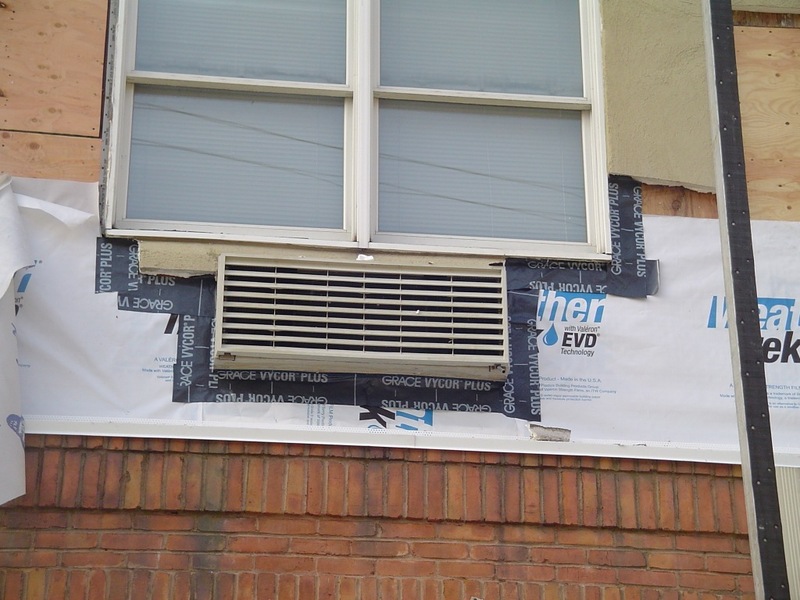 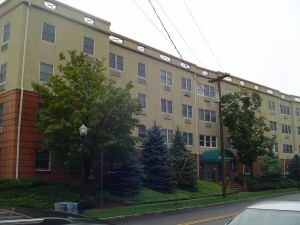 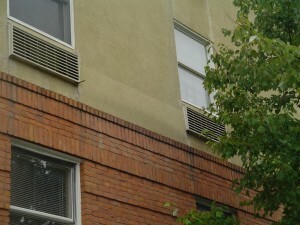 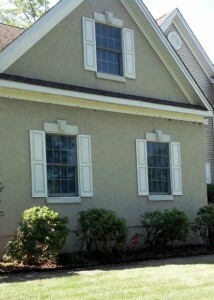 The vinyl siding and shutters were removed. 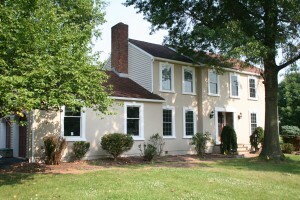 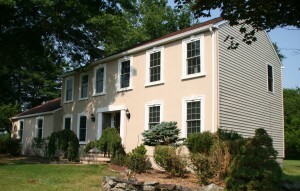 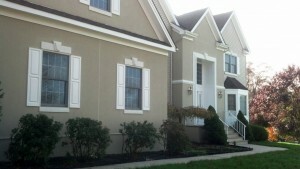 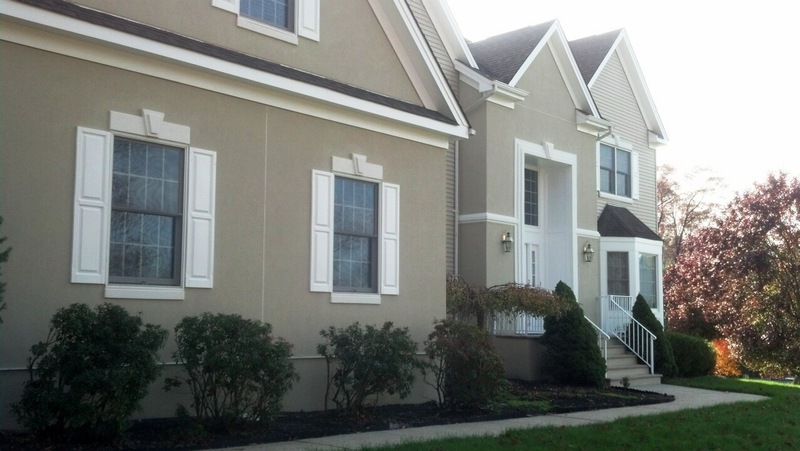 The vinyl siding and shutters were replaced with hardcoat acrylic stucco and window banding with keystones. 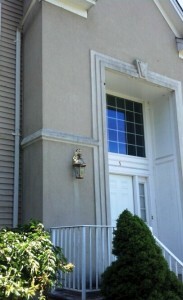 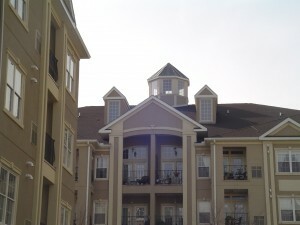 The front entrance was customized with columns on each side and complemented with a banded keystone on top. 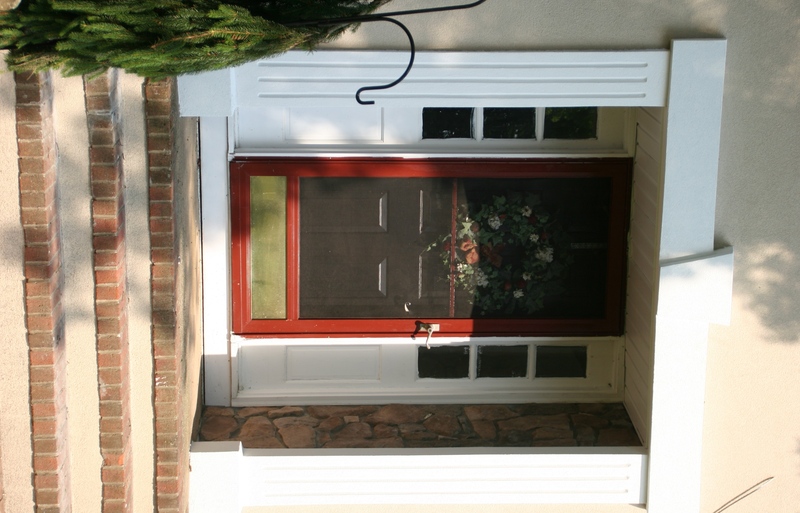 A cultured stone surround was added to the inside of the entrance way. 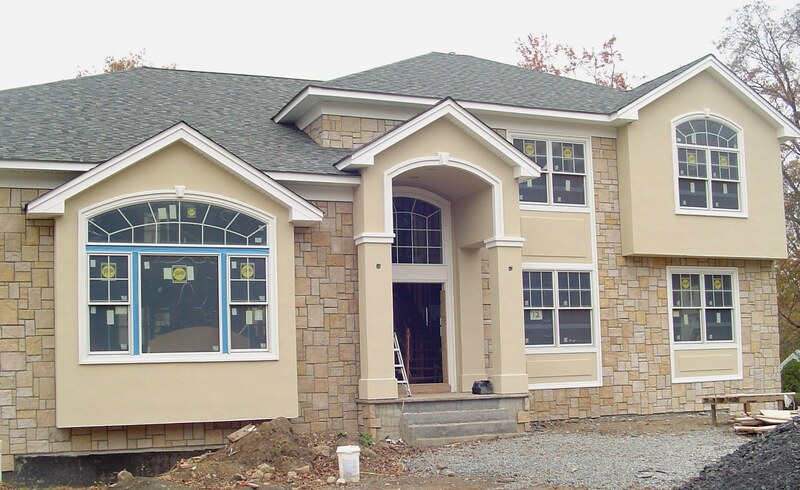 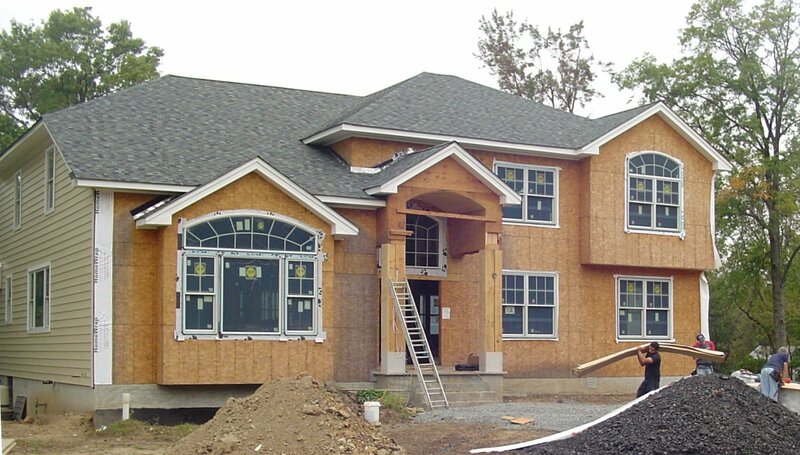 The stucco and custom banded windows and front entrance gives this home a beautiful majestic look. 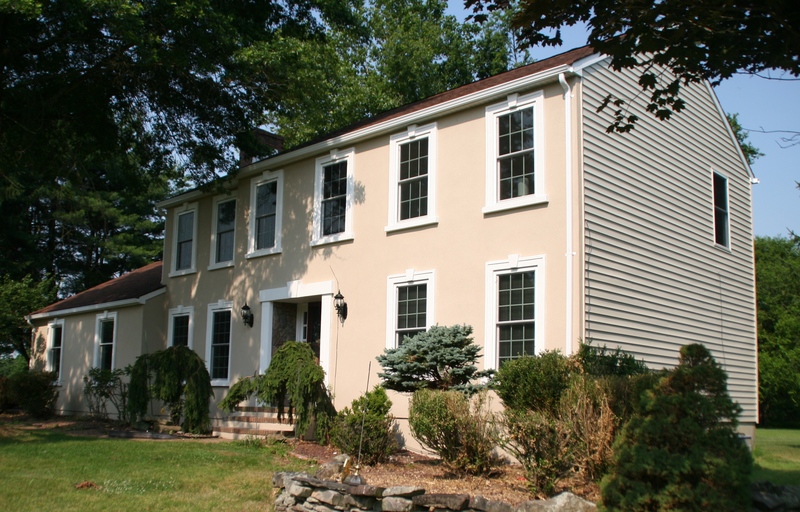 New vinyl siding in a complementary color gives the home a nice finished look. 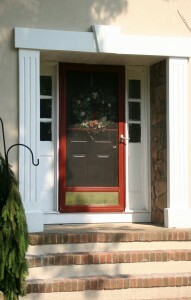 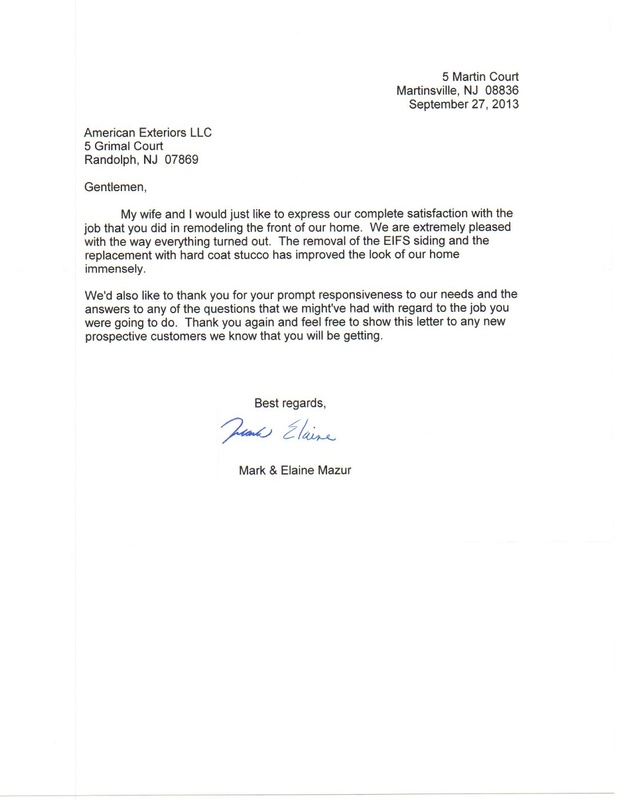 A quality finished product and another satisfied customer! 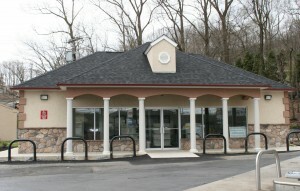 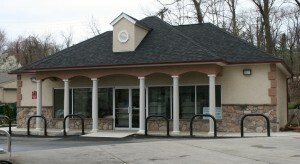 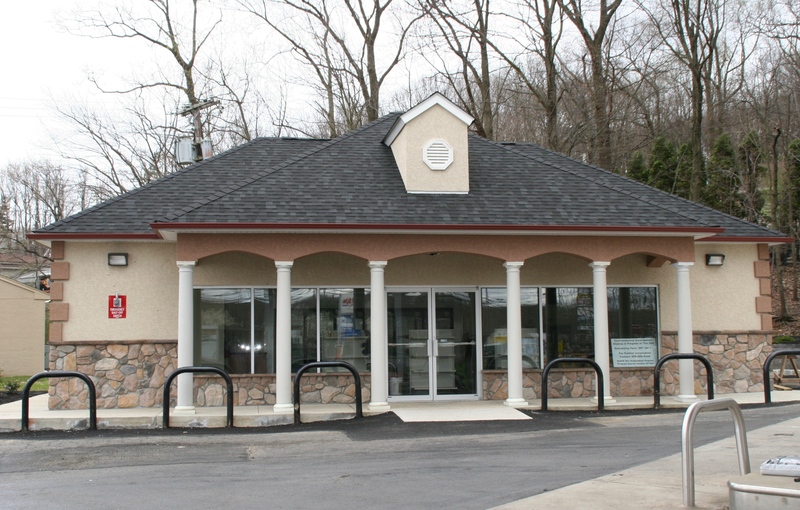 Recently completed gas station convenience store in Morris County, NJ. 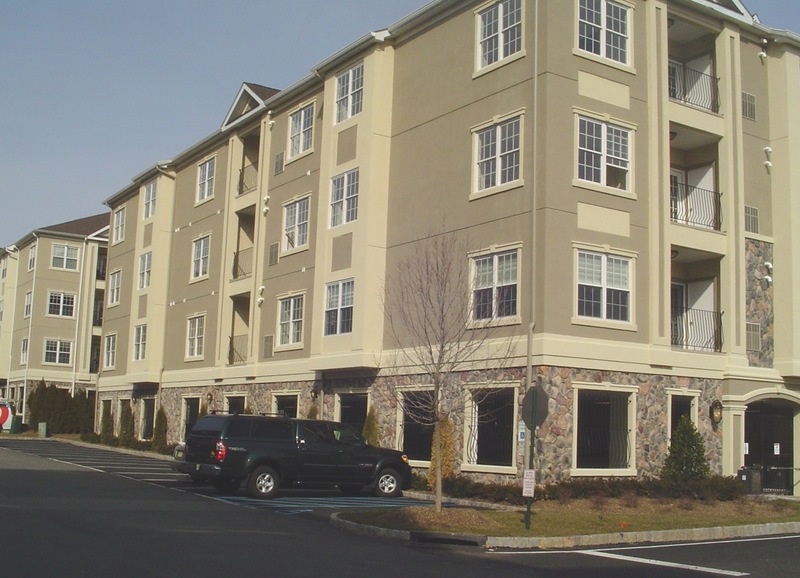 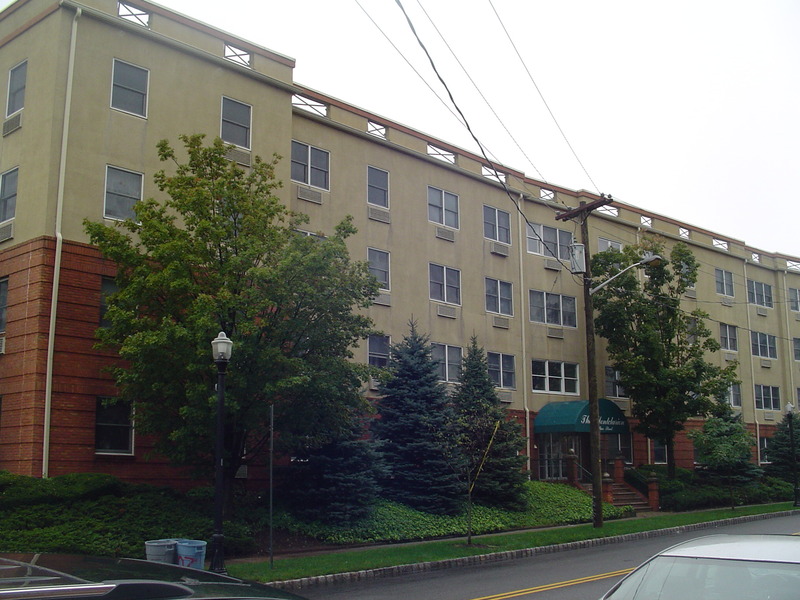 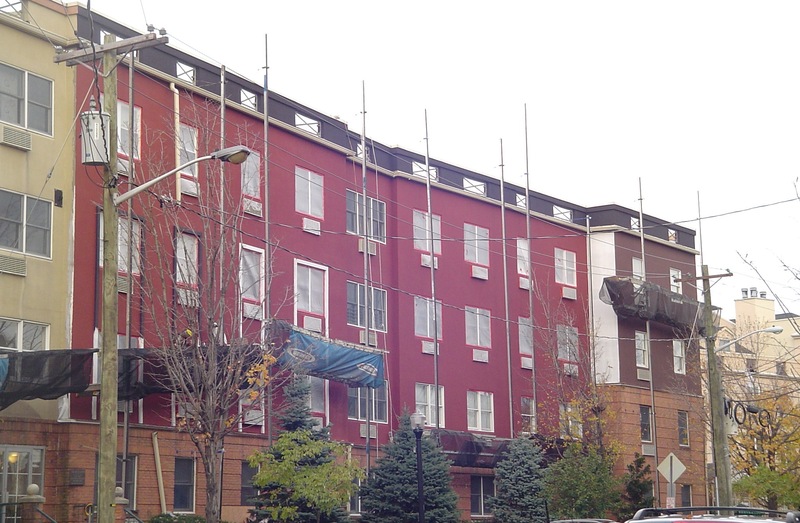 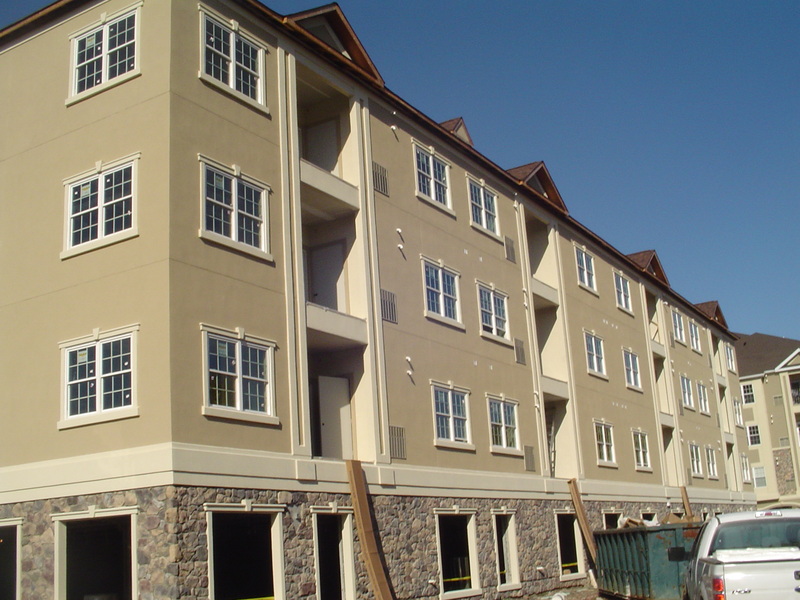 Hardcoat acrylic stucco and stone were applied to the front and sides of the building with complementary cultured stone bottom. 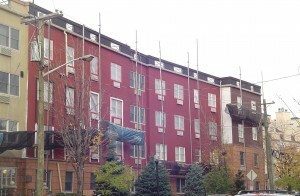 Quoins were applied to the sides of the building for extra detail. 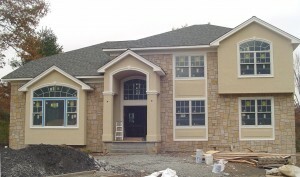 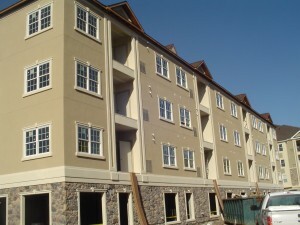 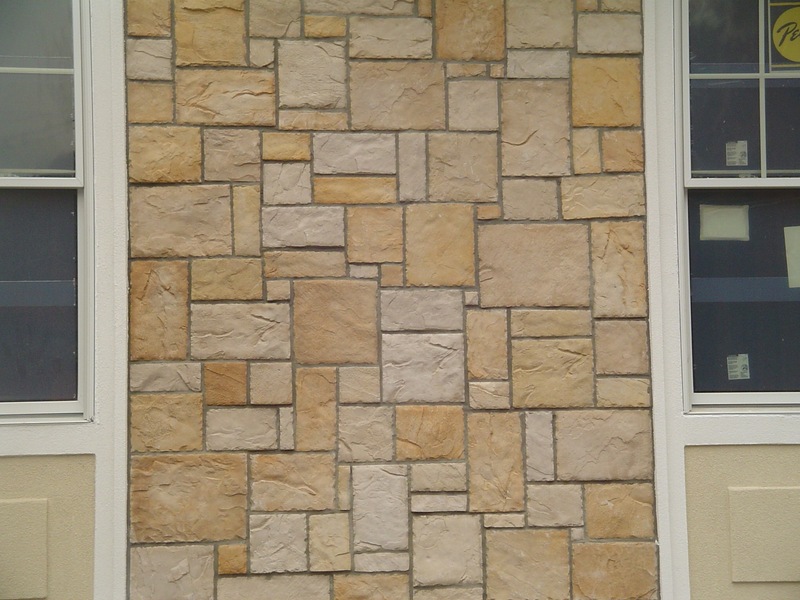 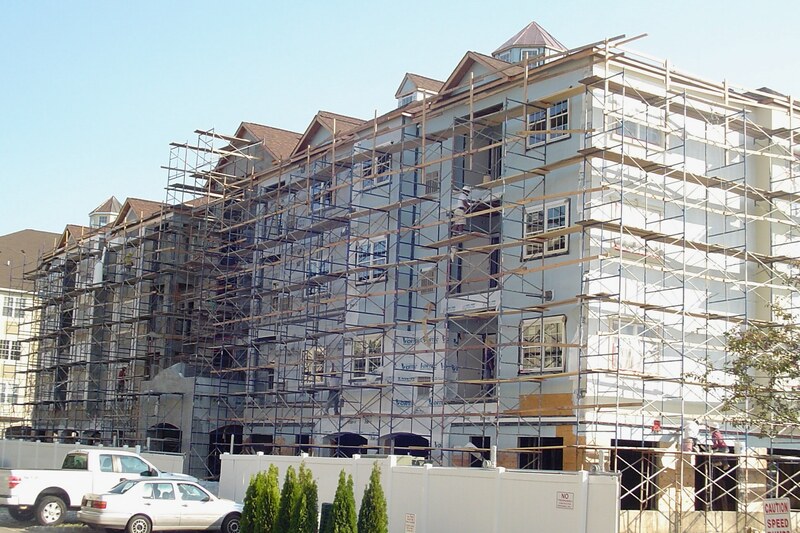 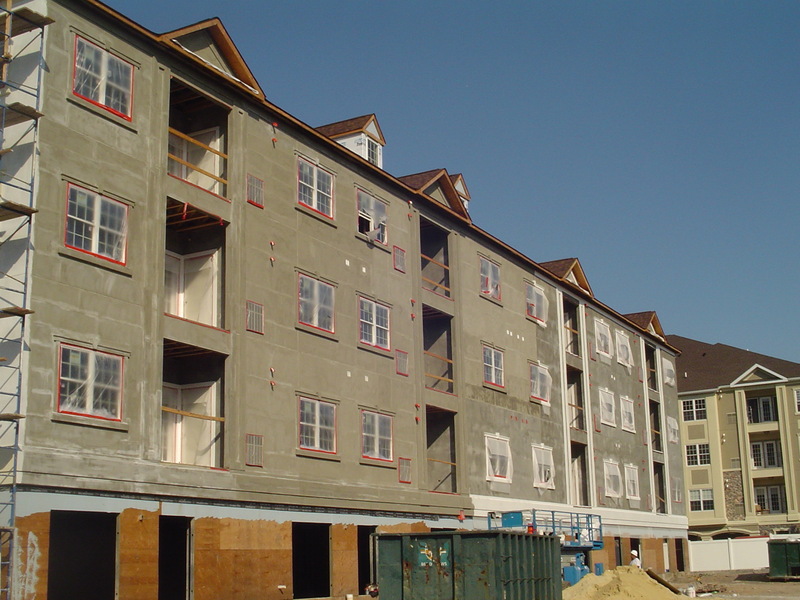 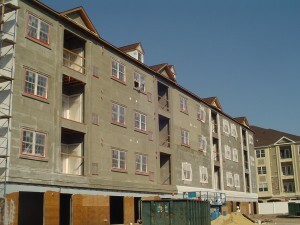 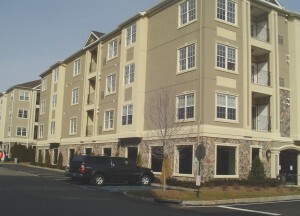 Hardcoat acrylic stucco with stone and quoin detail.